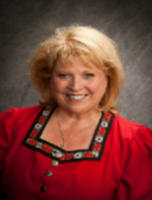 Linda Lee is the full-time Entertainment Coordinator and House Musician for the World-famous Frankenmuth Bavarian Inn in Frankenmuth, Michigan. She is also their “goodwill ambassador” promoting German Hospitality wherever she goes! 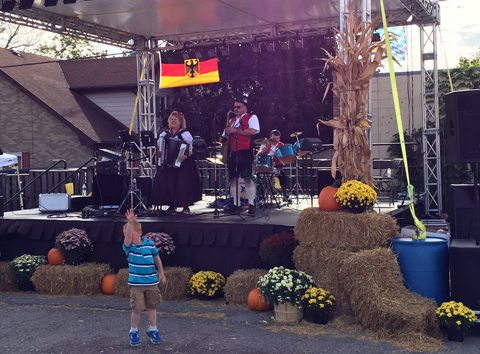 IN addition to her regular Bavarian Inn Schedule, five days a week, Linda also maintains a private schedule, performing at various parties and festivals ththroughout the United States and loves every minute of it! Beginning music lessons at the age of seven, Linda plays the accordion, clarinet and saxophone. She began entertaining at parties and banquets at the age of ten. After she married her husband, Roger, in 1967, and then became the mother of three children, Linda organized her first professional band, “Linda Lee & the Golden-Aires.” When her children showed an interest in music, they were invited to participate in band engagements under the name of “THE BROWN FAMILY SINGERS” and even recorded a record! Now, they are adults and on their own, living in various cities and states. They still enjoy their music and have remained friends with their fans and musical friends. Linda also has a deep love for animals, especially dogs. She has two of her furry friends living with her and her husband. She is always eager to come home to them. She calls them her “Polka Mascots” as they love to listen to the polka music that is always playing in her house. Linda also loves to rescue “unfortunate dogs” and give them a good home. Her latest adoption was Günther, who came from Cleveland a few years ago. He was homeless and blind. Linda and Roger have given him the sight, through the expert and loving hands of Dr. David Ramsey of Williamston, Michigan. Now, Günther is the family frisbee champion! Recently, Linda and Roger have lost two other wonderful dogs, Pepper and Cassie. This year will mark the 46th wedding anniversary of Linda Lee and Roger. “It is quite a milestone,” says Linda, who said “the time went by so quickly.” It doesn’t seem possible that it really was over 45 years ago that we said “I DO” at her home church in a neighboring town. “I still feel like I am twenty years old” says Linda. Her husband is always by her side helping her with the sound engineering, and of course, being at the drivers wheel when they are “on the road” when he is not at his other day job! “Music is my life and music is a gift from God” says Linda, who is also a polka DJ on several polka shows a week, along with her musical colleague, Wild Bill Anders! Bill is always by her side on stage and in the Radio Studio. She calls him her “right-hand man,” who is also a professional broadcaster on a popular radio station and a symphony violinist with the MIDLAND SYMPHONY ORCHESTRA! “Wild Bill” as he affectionately known, also helps Linda with her musical arrangements and programs. Together, Linda Lee and Wild Bill have a combined 60 plus years of experience in broadcasting and music. You also can see from time-to-time her additional band members Darryl Schmitz, John Sversko, John Shollack, and other guest musicians, depending on the venue and style of music they are asked to play. A new group that was formed last fall is “River Place Players, featuring Linda Lee.” A wide variety of standards, jazz, easy-listening is their specialty. In additon, they can add country, and other genres to the musical menu! Enjoy the music and good times with Linda Lee and her Band! Roger is Linda Lee’s husband and has been a professional Sound Engineer for over 40 years. In addition, he is an Inventory Associate at Home Depot, after his retirement from Delta College. You can see Roger wherever Linda Lee performs, keeping his expert hand on the Sound and Lights.Linda Lee, leader of the “Golden-Aires” and the “Bavarian Inn Band” started her musical career in 1974. She has eight recordings to date and plans to continue on with her music career. She is married to Roger, her Sound And Lighting Engineer, and they have three grown children…..so far! “Wild Bill” Anders is an accomplished violinist with the Midland Symphony in Midland, MI, several string ensembles, and also the fiddler in “Bavarian Inn’s Linda Lee’s” Band of Frankenmuth, Michigan. He is also the overnight newsman on News, Talk and Sports WSGW 790AM in Saginaw, MI and also anchors their national talk shows. 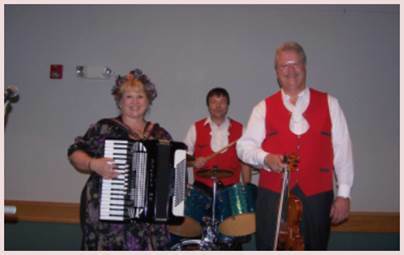 John Shollack, an outstanding accordionist, has also been with Linda Lee for 18 years. He is outstanding in Jazz and Classical, but truly loves the polkas and waltzes as well. He is featured in the various Christmas Shows and he shows of his fancy, fast-flying fingers on many complicated numbers. Johnny Sversko has been in Linda Lee’s Band now for almost ten years. He is a former drum instructor and is currently working at Home Depot in the Flint Area.